Dinky, the Chilean-born, Berlin based DJ and producer makes her Visionquest debut with a superb three track EP of mesmerizing beauty and elegance. Dinky needs no introduction, DJing and producing for over a decade, releasing some serious game-changers on labels Cocoon (the classic Acid In My Fridge recently reworked by the Visionquest boys), Wagon Repair (Anemik LP, one of RAs albums of the year 2010), Crosstown Rebels (Get Lost 03 mix CD) and most recently Ostgut Ton, Dinky also runs her own imprint, Horizontal, specialising in her distinct brand of organic tech-house. A-side Teka is a monster of a track; it effortless builds and builds, seducing the listener and transporting them away into the stratosphere, pure dance floor medicine for the body and mind. The flip features This Is Your Heart a deep groove-meister of a track, sonic seductions ambient waves and housey congas, spliced with shimmering to maximum effect. 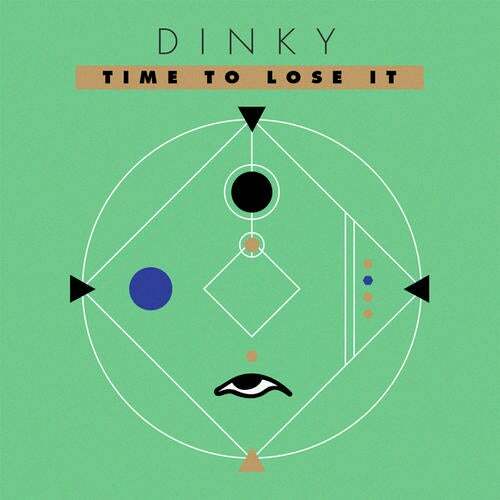 Finally, Time To Lose It is a voyage into languorous, trippy funk balanced by an absorbing folkloric hymn, its easy to get lost in the lush melodic, groove and spaced out beats featuring Dinkys own vocals. Creating three entirely different moods across this trio of tracks is Dinky showcasing her world-class ability to seize the principals of dance music and infuse them with her vital heart and soul.